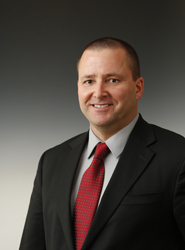 Dave Wulf is currently vice president, health safety and environment for ConocoPhillips Alaska. Wulf began his career with Marathon Oil in Midland, Texas before joining Conoco in 1990 at the Conoco Refinery in Billings, Montana. In 1997, Wulf took his first overseas assignment as a Safety Lead for a grass root refinery project in Melaka, Malaysia. In 2000, Wulf became the Refinery Safety Director for the Denver refinery. In 2002, the Denver refinery was purchased by Suncor Energy and Wulf’s responsibilities included the refinery, pipeline and retail divisions. In 2006, Wulf rejoined ConocoPhillips in Houston, Texas as the Downstream Project Safety Lead for Major Projects. In 2008, he became the HSE Manager for Project Development & Supply Chain in Houston, Texas. In 2015, Wulf became the HSE Manager for the APLNG project in Gladstone, Australia, where he served until assuming his current position in 2016. Wulf holds a bachelor degree in Biology from Carroll College in Helena, Montana and a Masters of Science in Industrial Hygiene from the School of Mines in Butte, Montana. Dave is married and has two children. His hobbies include running, biking, fishing and hunting.